Kevin Gough/Sebastien Marot (after Marcel Duchamp), Cornell Bachelors, 2003. In 1978, Rem Koolhaas published Delirious New York: A Retroactive Manifesto for Manhattan, a theoretical and literary masterpiece considered the undisputed manifesto for contemporary super-urbanism (a design poetics, which holds that the program invents the site). This book’s ambition is to illustrate the reverse poetics of sub-urbanism (which holds that the site invents the program), by developing the laudatio urbis of an inland island (the town of Ithaca, seat of Cornell University, located in rural upstate New York) that is the geographical opposite of Manhattan (glacial lake versus bedrock island). Thanks to an interesting trick or loop in history, it happens that this little town was founded by the designer of Manhattan’s grid (state geographer Simeon DeWitt), and Rem Koolhaas landed in Ithaca to start working on his Manhattan manifesto, a sign that super-urbanism might just be a moment (or phase) of sub-urbanism. 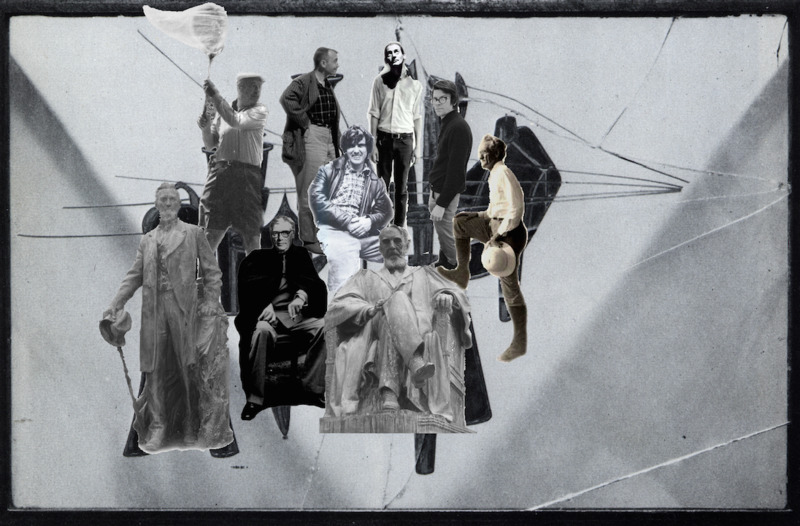 Palimpsestuous Ithaca weaves together the Cornell-based trajectories of nine figures: three geotechnicians (Cornell, White, and Bailey), three architects (Rowe, Ungers, and Koolhaas) and three artists (Smithson, Matta-Clark, and Nabokov). A philosopher by training, Sébastien Marot holds a PhD in history from the EHESS in Paris. Founder and chief editor of the journal Le Visiteur between 1995 and 2003, he has taught in several schools of architecture and landscape design in Europe and North America (IAUG Geneva, ETH Zürich, Harvard, UPenn, Cornell, and others). He is currently professor at the École d'Architecture de la Ville et des Territoires in Paris, and guest professor at the EPFL in Lausanne, where he teaches architectural theory and environmental history. His numerous publications include Sub-Urbanism and the Art of Memory (Architectural Association Publications, 2003), the critical re-edition of Ungers/Koolhaas's The City in the City (Lars Müller, 2013), and, more recently, with Rem Koohaas and Harvard’s GSD, the volume Fireplace from the Elements of Architecture (Venice Biennale, Marsilio, 2014). Since 2011, he has served as chief editor of Marnes: Documents d'Architecture.